The highly complex Vulcain engine is the fruit of nearly 15 years of research. It forms the central cryogenic core of the lower section of Ariane 5. Designed by Snecma Moteurs, it weighs 1,650 kg and is delivers 20 times more thrust than the engine on Ariane 4. New technologies were incorporated into its design, including a new copper alloy for the combustion chamber, high-strength materials for the turbopumps and high-power supersonic turbines. 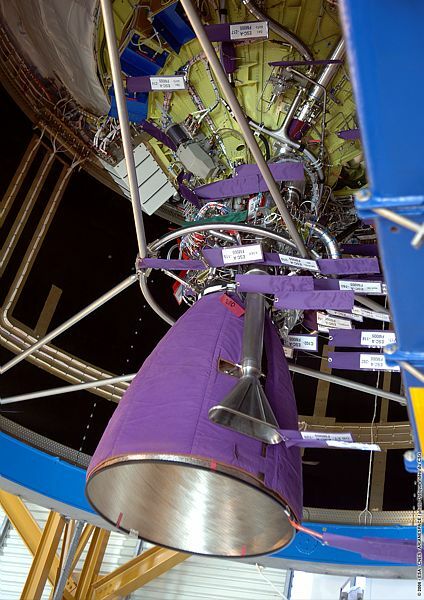 Vulcain 2 is an upgraded version of the engine, designed for Ariane 5 ECA, providing a 20% performance gain. 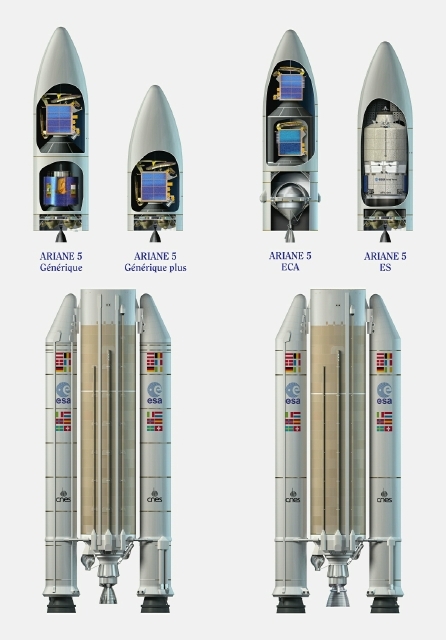 Earlier generic versions of Ariane 5 were equipped with a storable propellant stage (EPS), replaced by the cryogenic upper stage (ESC-A) on Ariane 5 ECA. ESC-A burns liquid oxygen and hydrogen, whereas EPS uses other liquid propellants (mono-methyl-hydrazine and nitrogen peroxide). 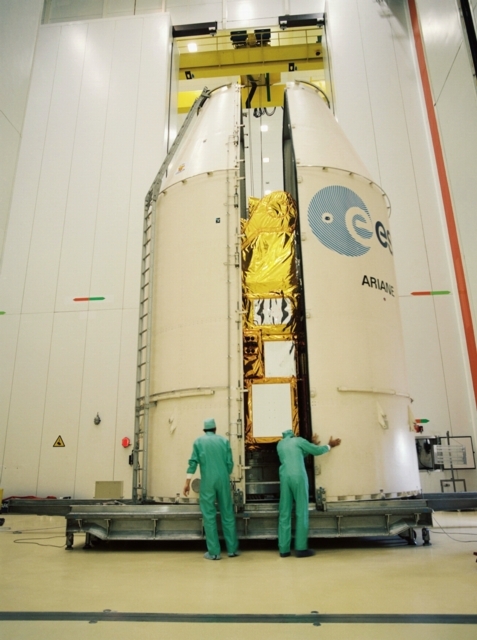 The Ariane launch site, owned by Esa, is located near Kourou, French Guiana on the northeast coast of South America. The site’s ideal location at 5° north of the equator takes advantage of the Earth’s rotational speed to place satellites into geostationary orbit. 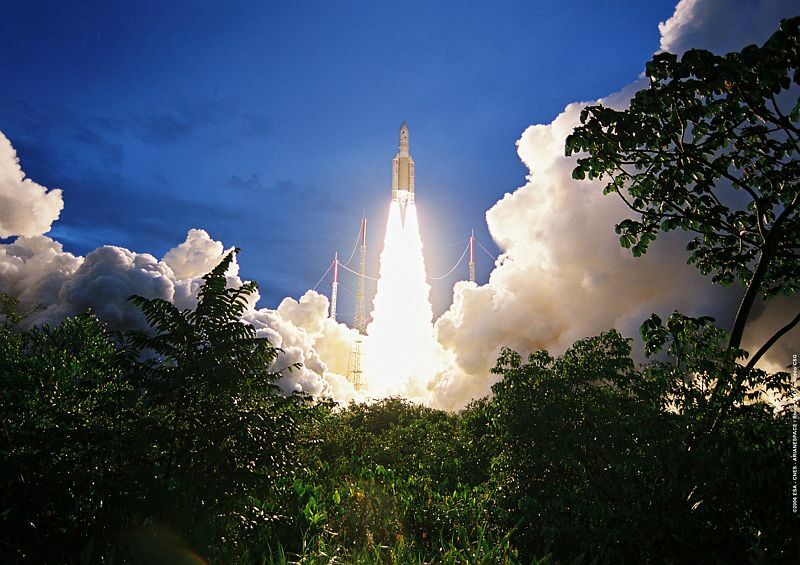 Ariane 5 is launched from a new facility called ELA 3, which can handle 8 launches per year. For the 1st time since the creation of the Guiana Space Centre (CSG), industrial facilities working directly on launcher manufacture and integration have been installed on site in French Guiana. Between 1988 and 1996, a complete assembly line and launch facility was built at Kourou. This facility comprises the factories and buildings for production of solid booster stages, as well as assembly of launcher elements and preparation of payloads, and ground tracking infrastructure (Jupiter control centre and TTC network).